This unique intermediate level course has been designed by an instructor that has worked closely with fellowship trained hand surgeons. This course will provide the medical professional with information needed to effectively evaluate and treat conditions of the elbow, hand and wrist through advanced clinical algorithmic solving. This course offers an in-depth look into the fascinating anatomy of the upper extremity. Specific complex case studies were selected to review treatment options of the elbow, wrist and hand and will be followed by in-depth discussion of the various rehabilitation approaches. This course will also provide information that will improve outcomes by providing information on how to build a cutting-edge upper extremity therapy program. Topics that will be discussed include: soft tissue injuries, flexor and extensor tendon repair and rehabilitation, edema management, scar remodeling, the stiff hand, fractures, splinting concepts and arthritis. Surgical considerations and techniques will be presented to assist the clinician with the development of a thorough treatment program. Special attention is provided to “clinical pearls” tips for the clinician in managing complex wrist and hand disorders. This course has been designed for the therapist to immediately apply the information in the clinical setting. This course is applicable for PT, PTA, OT, ATC. 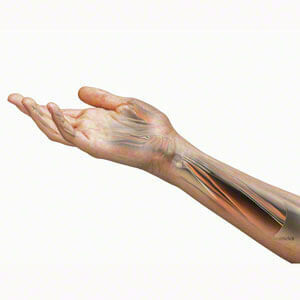 Describe detailed aspects of the anatomy and biomechanics of the elbow, wrist and hand. Describe the correlation between the functional anatomy of the upper body and current surgical procedures to develop comprehensive therapeutic rehabilitation programs. Describe carpal and phalanx fractures and understand treatment of both conservative and surgical intervention. Identify the 3 phases of healing tissue and describe how clinical protocols are predicated on the stages of tissue healing. Perform a thorough examination of the distal upper extremity, integrating biomechanical assessment with clinical problem solving. Develop assessment techniques and treatment strategies of the elbow, wrist and hand to include soft tissue injuries, fractures, flexor and extensor tendon injuries, nerve compression and common arthritic problems. Understanding a surgeon’s “algorithm” enabled me to identify specific surgical procedures and the projected outcomes.